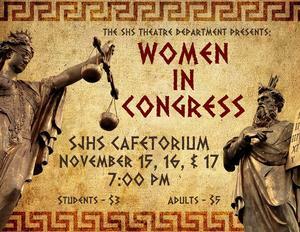 The Smithville High School Theatre Department presents, Women in Congress by Aristophanes. Performances will be at the SISD Main Cafetorium located at 800 Bishop Street. Show dates are: November 15, 16, & 17th.